Andrew Atkeson is the Stanley M. Zimmerman Professor of Economics and Finance. He has held positions at the University of Chicago, the University of Pennsylvania, the University of Minnesota and the Federal Reserve Bank of Minneapolis before moving to UCLA in 2000. He has published papers in the American Economic Review, Econometrica, the Journal of Political Economy and the Quarterly Journal of Economics. He is has been awarded nine NSF grants and has been an Associate Editor of the American Economic Review, Review of Economic Studies and Quarterly Journal of Economics. His research spans a variety of topics in macroeconomics, including the sustainability of international debt, the design of monetary policy and the measurement of the firm solvency. Andy received his B.A. in economics from Yale University in 1983 and his Ph.D. from Stanford University’s Graduate School of Business in 1988. 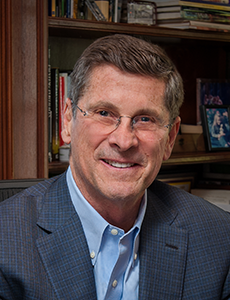 William E. Simon, Jr. is a partner at Massey Quick Simon, a wealth management firm with $3.7 billion in assets. Previously, he was co-chairman of William E. Simon & Sons, LLC which he founded in 1988 with his brother and late father, the former U.S. Secretary of the Treasury. In 2002, Mr. Simon was the Republican gubernatorial nominee in California. From 1985 to 1988, Mr. Simon served as Assistant United States Attorney in the Southern District of New York under Rudolph Giuliani. 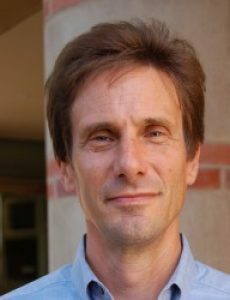 As an Assistant Adjunct Professor in both the Department of Economics and the Law School at UCLA, Mr. Simon has taught courses on value investing, financial crises, leadership and rhetoric. He is a recipient of the Graham & Dodd, Murray, Greenwald Prize for Value Investing, the 2018 UCLA Marty Sklar My Last Lecture Award, and several honorary degrees. Mr. Simon earned his bachelor’s degree at Williams College where he is Trustee Emeritus. He is a 1982 graduate of Boston College Law School. Humberto Merino-Hernandez is a member of the Value Investing Program’s co-founding team. 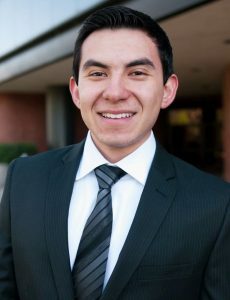 In addition to overseeing the program’s components, Humberto serves as an Education Advisory Fellow for the Federal Reserve Bank of San Francisco and as an Economics Instructor at East Los Angeles College and Cerritos College. Prior to the inception of the UCLA Value Investing Program, Humberto served as a teaching/research assistant for UCLA’s value investing courses from 2016 to 2017. He also served as a statistics teaching assistant for the Tufts Department of Economics from 2015 to 2016 and as a City Year AmeriCorps Member from 2014 to 2015. Humberto holds an M.S. in Economics from Tufts University, a B.S./B.A. in Finance/Economics from CSU Long Beach, and a transfer certificate from East Los Angeles Community College.